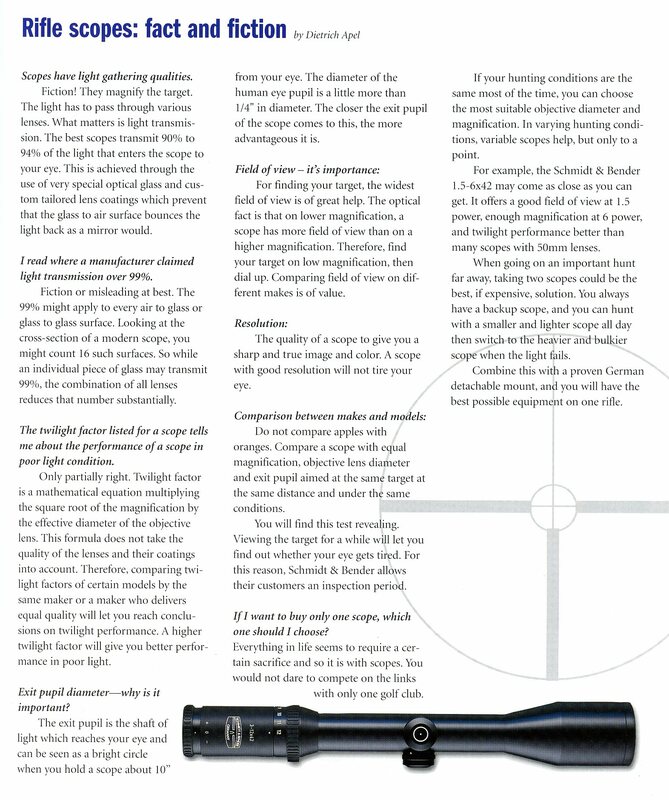 I am no authority on scopes and the following material will certainly not be complete and may contain errors. If you find one please let me know so it may be corrected. Also any new material is certainly welcome. 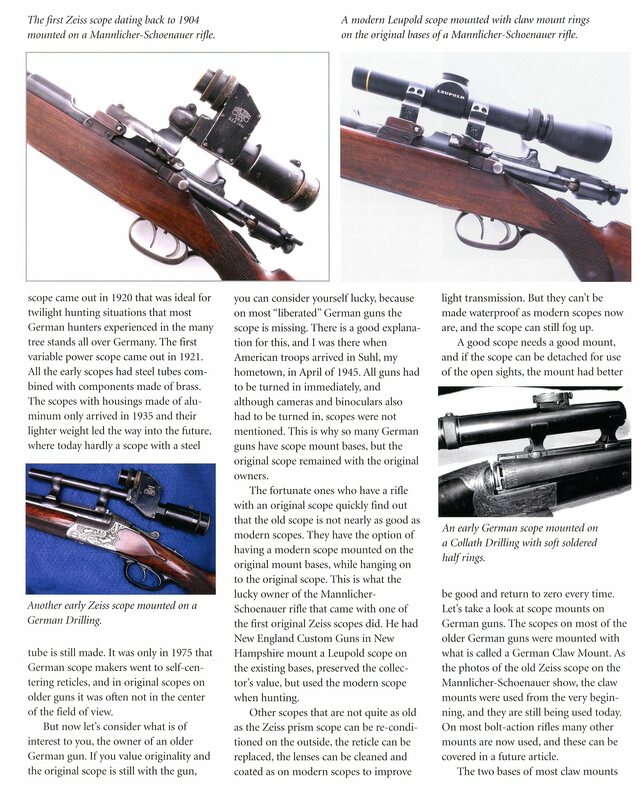 To read a story about the modern German scope maker Schmidt & Bender click Here. 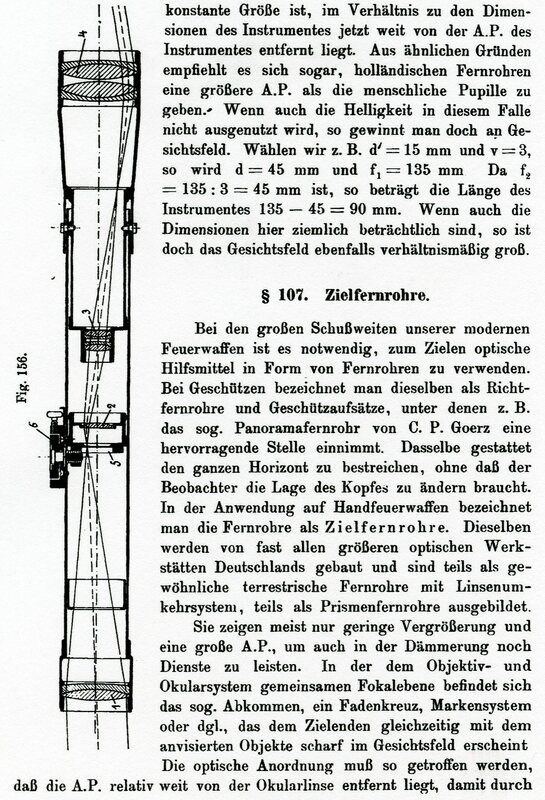 While the practical Telescope as a sight dates back to the 18th Century (ref. 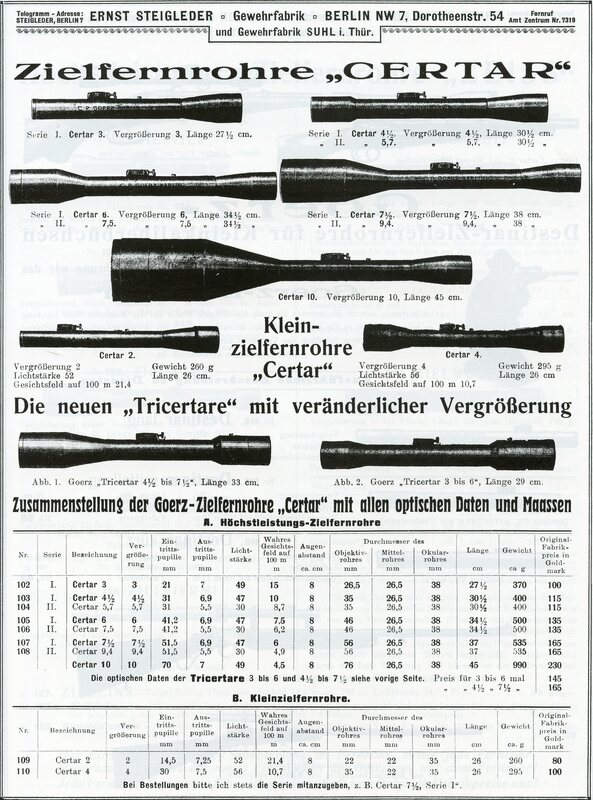 Waffen Lexikon,1952 Ed. 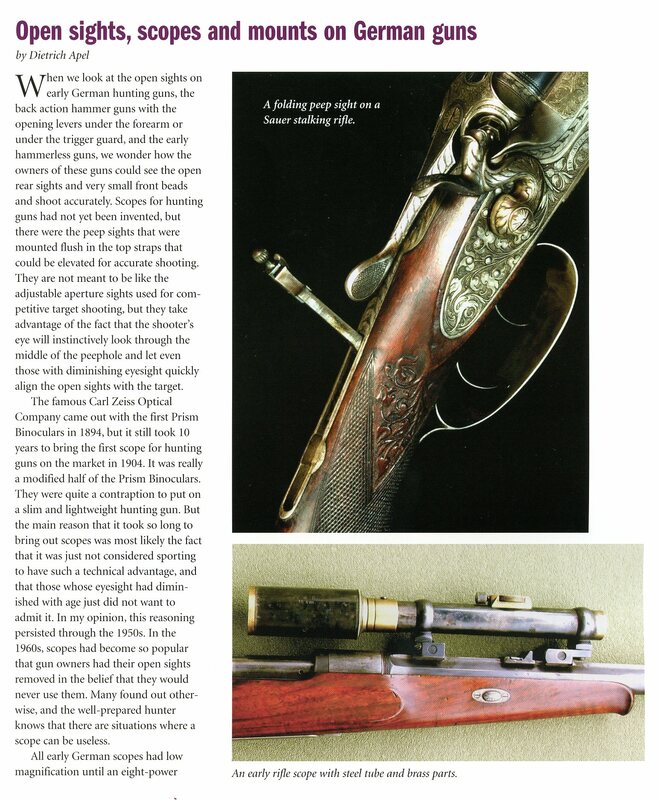 ), it’s form as we know it now dates back to the 1880’s. 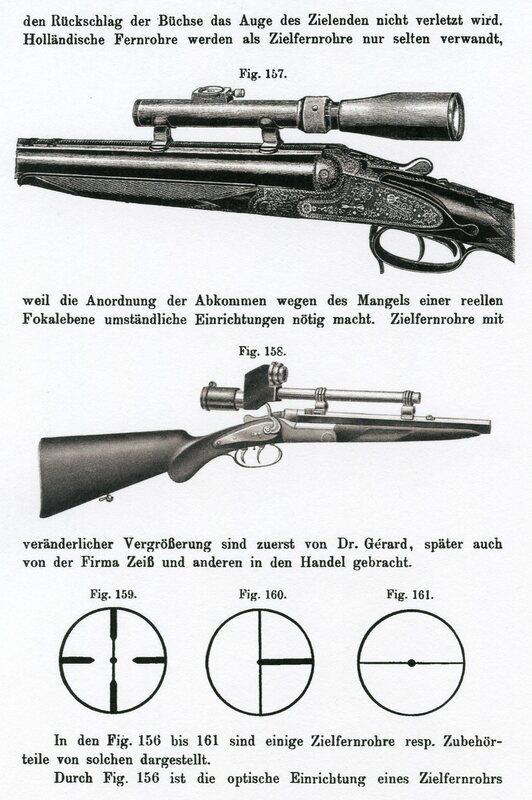 Richard Mahrholdt in his book Waffen Lexikon illustrates a scope made in 1889 and the 1896 edition of Jahrbuch Der Naturwessen Schasten illustrates a scope made by Voightlünder. From the Waffen Lexikon by Richard Mahrholdt, 1952 Ed. From the Jahrbuch der Naturwessen Schasten 1896-1897. 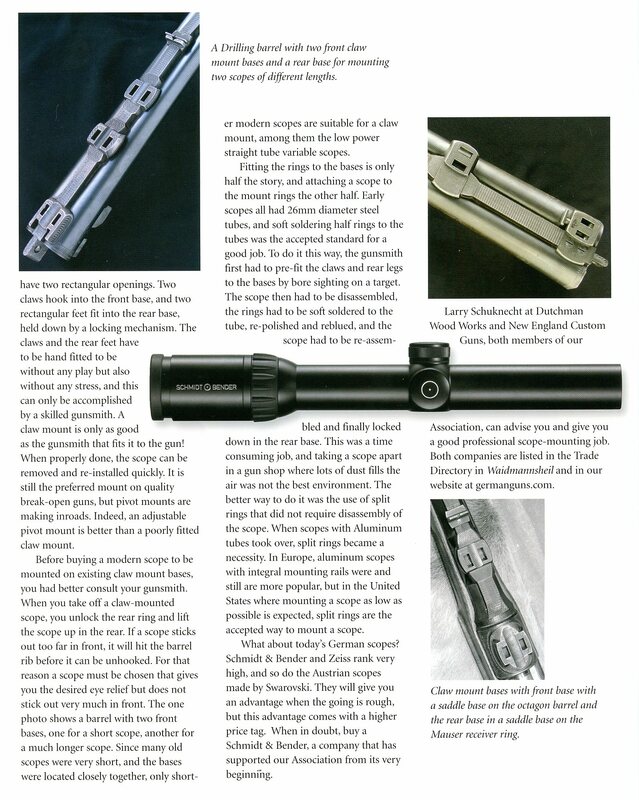 This page will look briefly at each major Scope maker and will be added to as information becomes available. 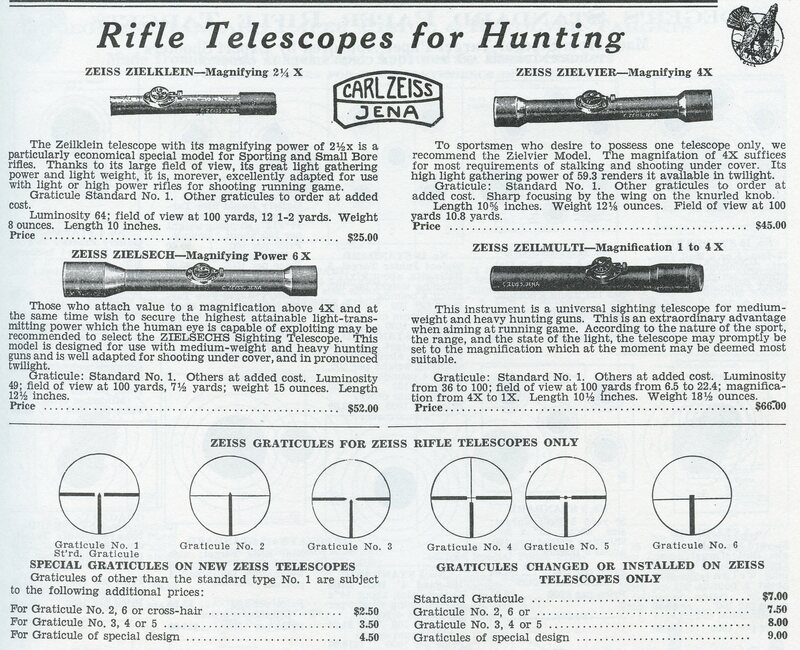 After the entries on the scope makers will be articles found about scopes in general. 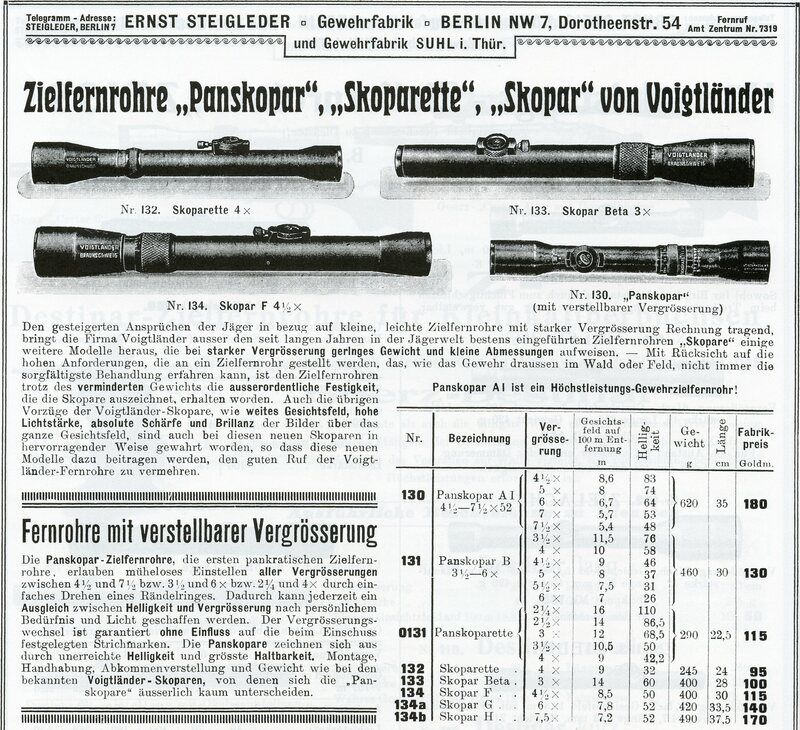 The firm of C. P. Goerz (Carl Paul Goerz) in Berlin started in 1888 making drawing instruments for schools and quickly branched into making Cameras and Lenses. 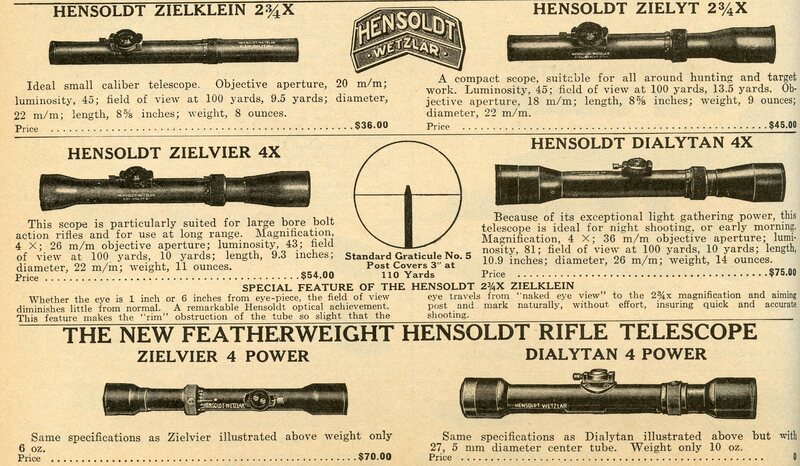 This of course led to making rifle scopes. 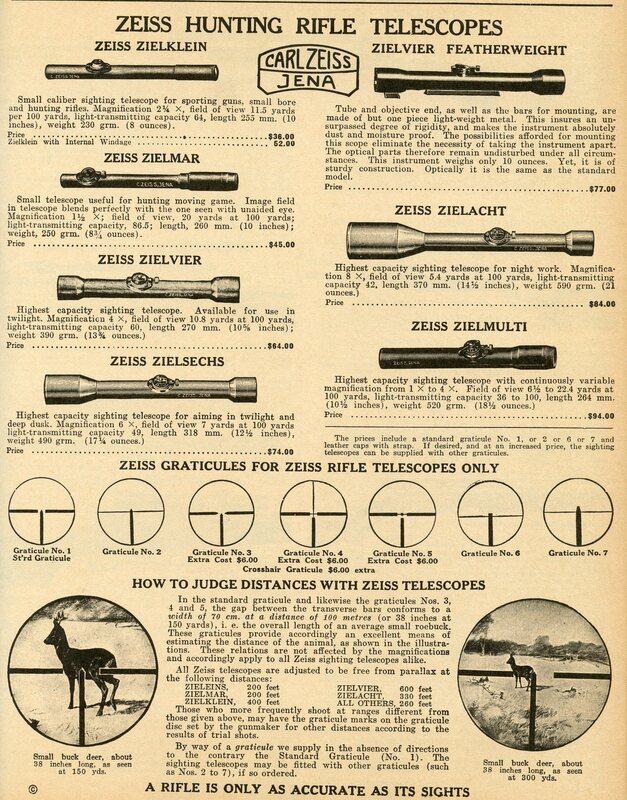 In 1895 they started a branch in New York, N.Y. which in 1905 became C. P. Goerz American Optical Co. 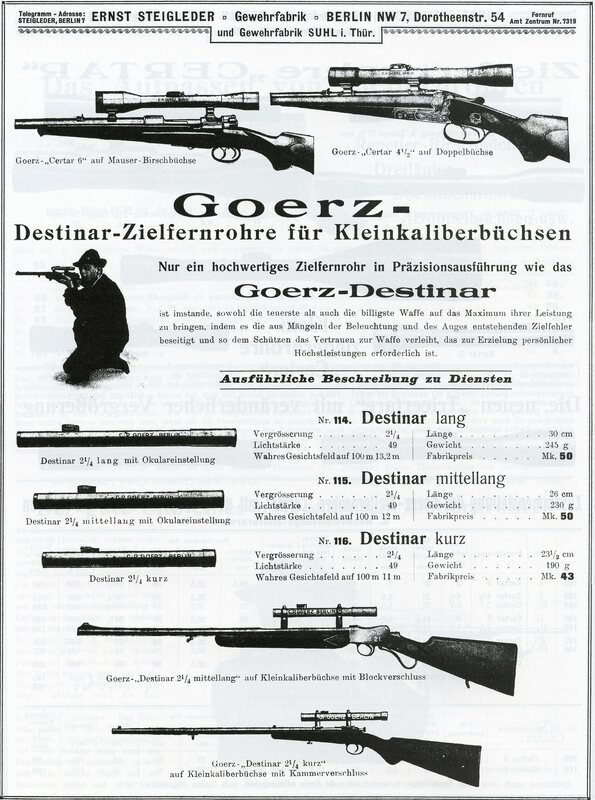 In 1926 the merger of Goerz with ICA, Contessa-Nettel and Ernemann became Zeiss Ikon. 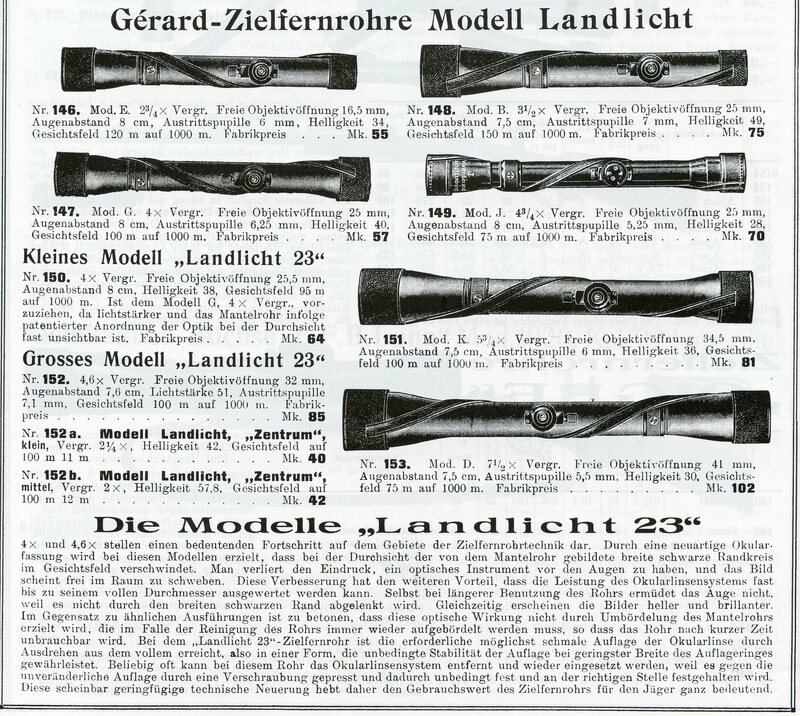 The following pages come from an early 20th Century Ernst Steigleder Catalog. The following appeared in the 1939 (no. 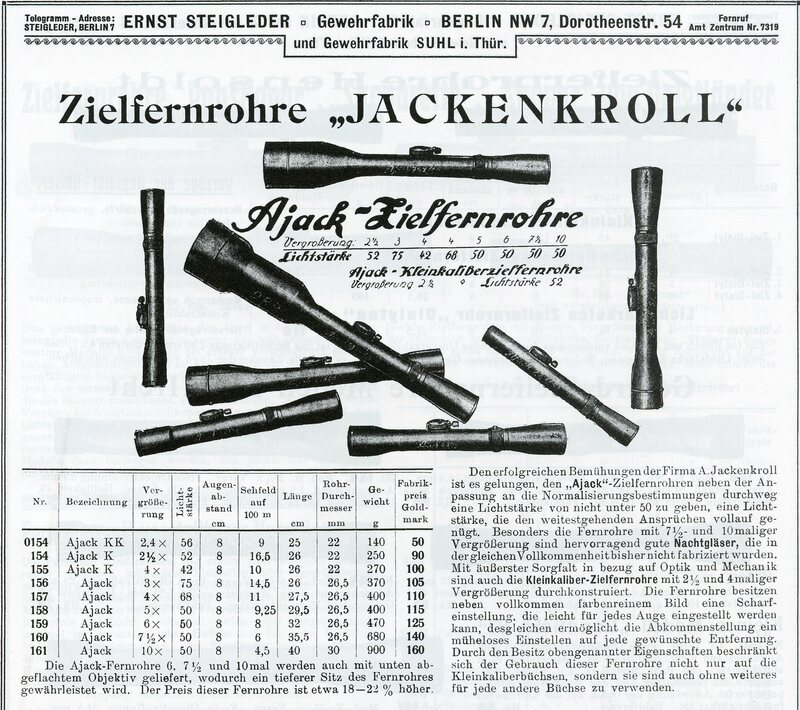 31) edition of A. F. Stoeger’s catalog. The following appeared in the 1932 (no. 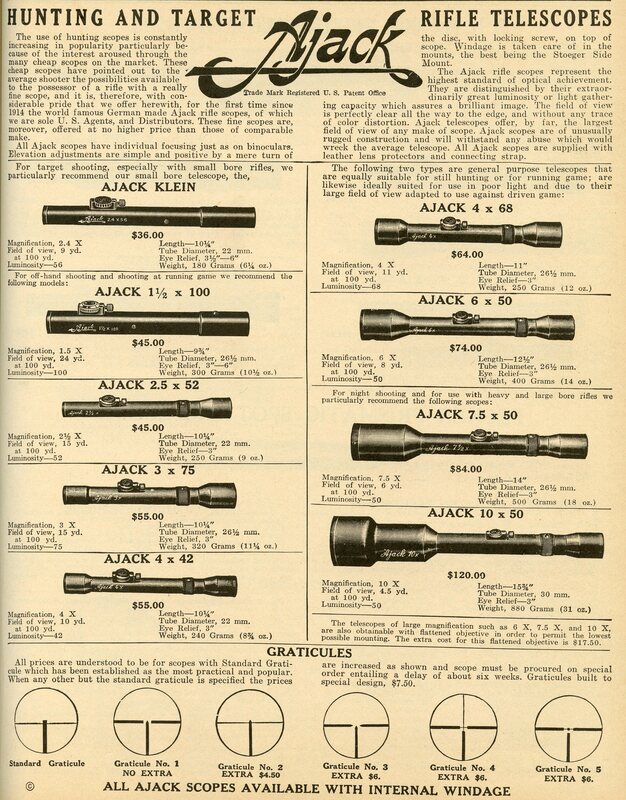 18) edition of A. F. stoeger’s catalog. In the mid 1750’s Johann Christoph Voigtländer (Nov. 19, 1732- June 27, 1797) began working in the mathematical instrument shop of Meinicke in Vienna. He drew attention for his skill and achievements and was recognized by the Minister of State of the Habsburg Monarchy- Prince Wenzel von Kaunitz. In 1763 Johann founded his own shop and the Empress Maria Theresa granted Johann a “Protection Decree” or Schutzdekret which allowed him to sell his products with protection from rivals. Johann was a prolific and successful inventor developing optical devices, machinery and other small instruments. 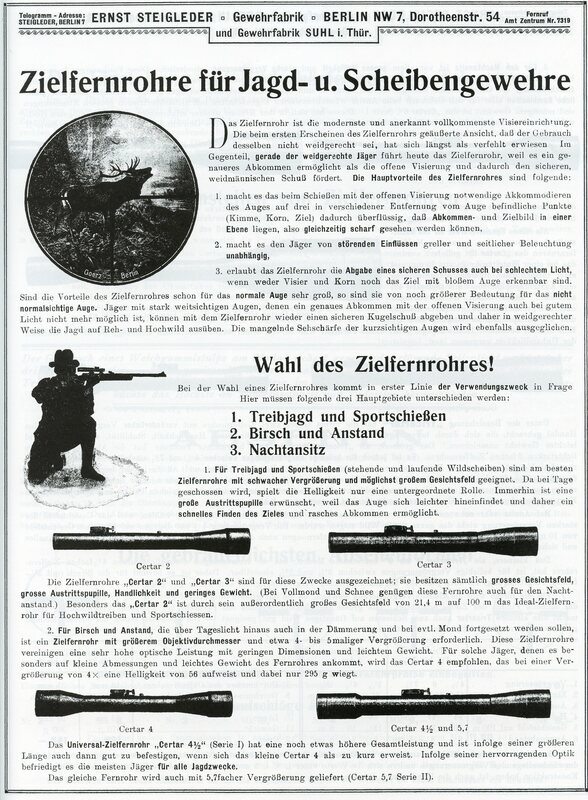 In 1797 Johann and the Voigtländer firm received a Landesfabriksbefugnis or “National commercial license” which allowed him to use the Habsburg imperial eagle on their goods and advertising and also allowed them to open branch sales offices anywhere in the empire. This was also the year that Johann passed away but the firm was on a solid footing and the business was carried on by his widow and their four children. Carl Friedrich Zeiss (Sept. 11, 1816- Dec. 3, 1888) was born in Weimer. He apprenticed in the shop of Dr. Friedrich Körner where he learned the trade of making Microscopes and scientific instruments. At the University of Jena Carl studied mathematics, physics, anthropology and optics. On Nov. 10, 1846 Carl received permission from the Weimer authorities to open his own workshop which he did at Neugasse strasse 7 in Jena. His main products were microscopes, measuring, optical and mechanical instruments. In Sept. 1847 Carl moved to a larger building at Wagnergasse 32 and took on his first apprentice. In 1857 he introduced the first compound microscope. The company employed around 200 employees by 1864 which required a move to an even larger facility at Johannisplatz 10. 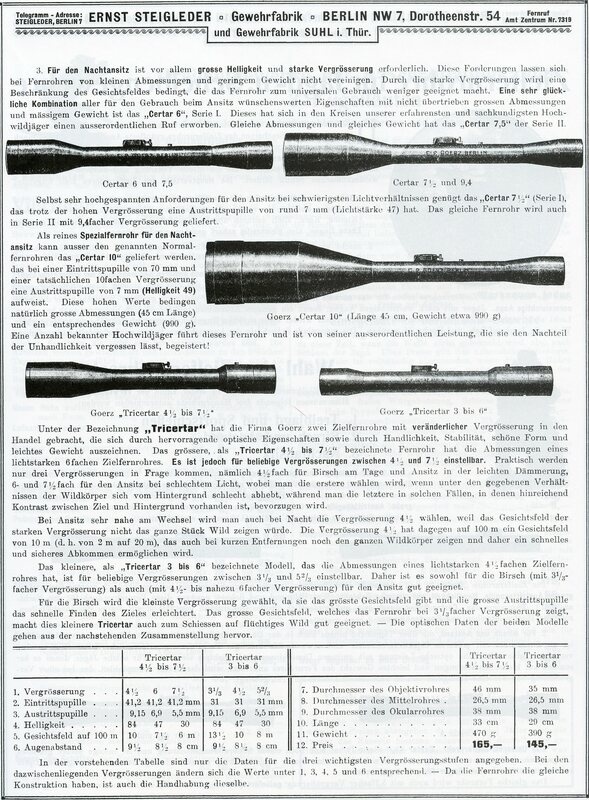 In 1866 Zeiss hired 26 year old Ernst Abbe (Jan. 23, 1840- Jan. 14, 1905) who was a lecturer on physics and mathamatics at the University of Jena to work as a free lance researcher. It was the start of a fruitful relationship between Carl Zeiss and Abbe. 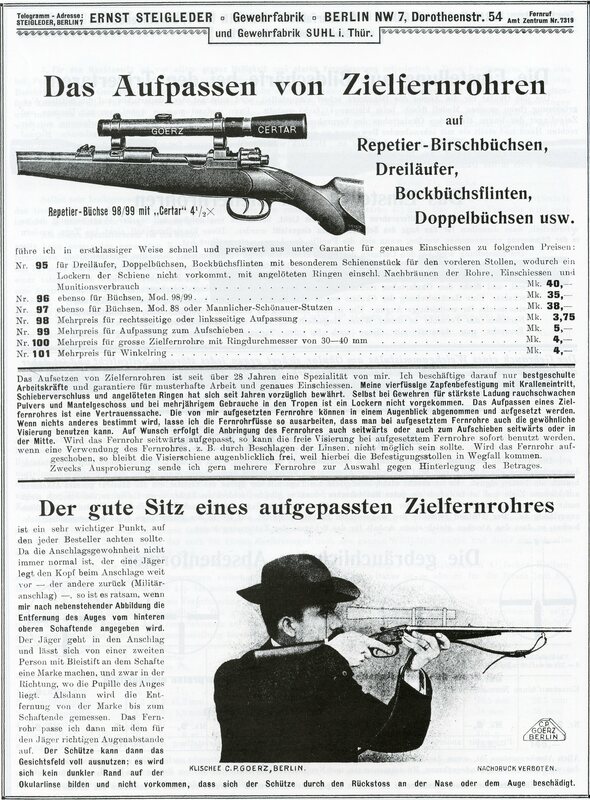 Abbe became the director of Research at Zeiss. In 1879 Otto Schott (Dec. 17, 1851- Aug. 27, 1935) contacted Ernst Abbe that he had developed a new kind of glass made with the addition of Lithium. 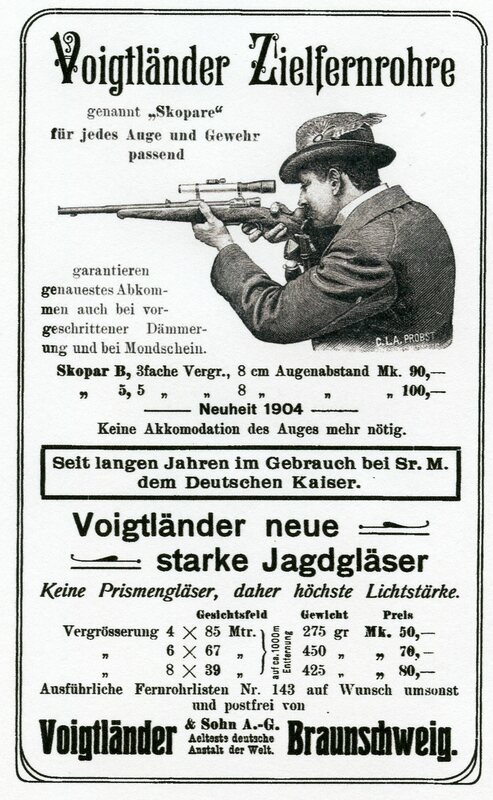 Otto was encouraged to develop new types of optical glass. Carl Zeiss’s son Roderich became a co partner with his father in 1881. 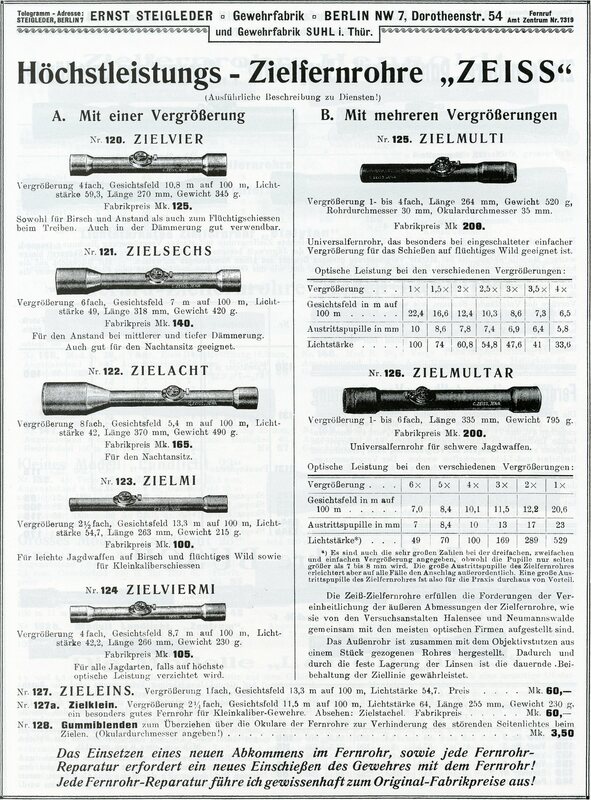 In 1884 Carl and Roderich Zeiss, Ernst Abbe and Otto Schott founded the Glastechnisches Laboratorium Schott & Genossen where they developed new optical and heat resistant glass. 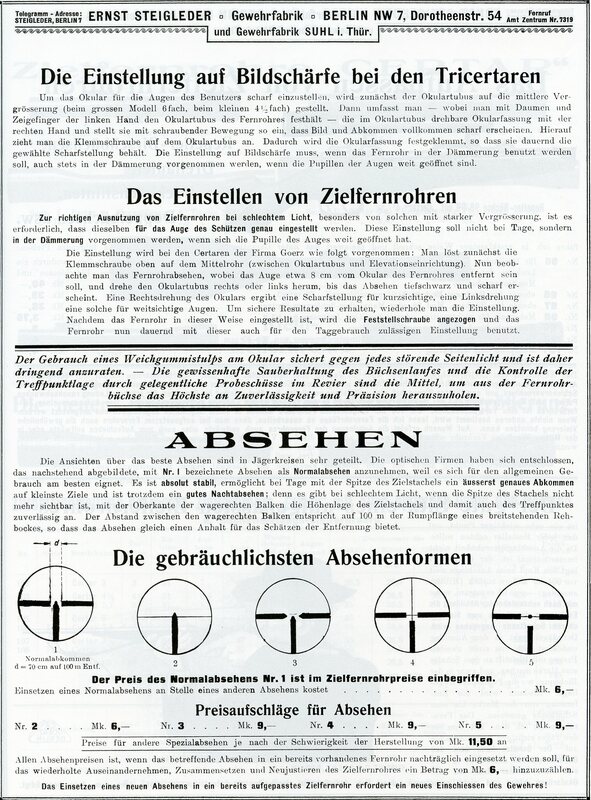 In 1889 the Carl Zeiss Stiftung or Carl Zeiss Foundation was set up and by 1891 Roderich Zeiss and Ernst Abbe had tranferred all of their shares in the Zeiss firm to the foundation ensuring that the business would always operate in a socially acceptable and beneficial manner.